In 2010 I wrote a book ‘Whatever Happened to Ishtar?’ – A memoir and family history told in two books entitled ‘Italian Connections’ ‘Lebanese Connections’ … My Catholic childhood filled with fear, abuse, and gross neglect. The theme running through the book relates to my passionate quest to find answers for generations of defeated mothers on both sides of my family tree. It’s about the brutal men in their lives, the endless pregnancies, and the women’s strict adherence to CathoIicism. In the end, the patriarchal Catholic Church betrayed their trust. Would Ishtar the Babylonian goddess have been a better role model and protector of female rights than the Virgin Mary turned out to be? I know that in my mother’s case, if she had sought help from professionals rather than endlessly praying to her imaginary god, her life would have been far different. I now live in Melbourne with my partner, Paul. Julia Grego Smith was my grandmother Maria Grego Frandi’s younger sister. The following post was written by Julia’s grandson, Larry Smith. 18 October 2015. Images and text copyright to Anne Frandi-Coory All Rights Reserved 18 October 2015. 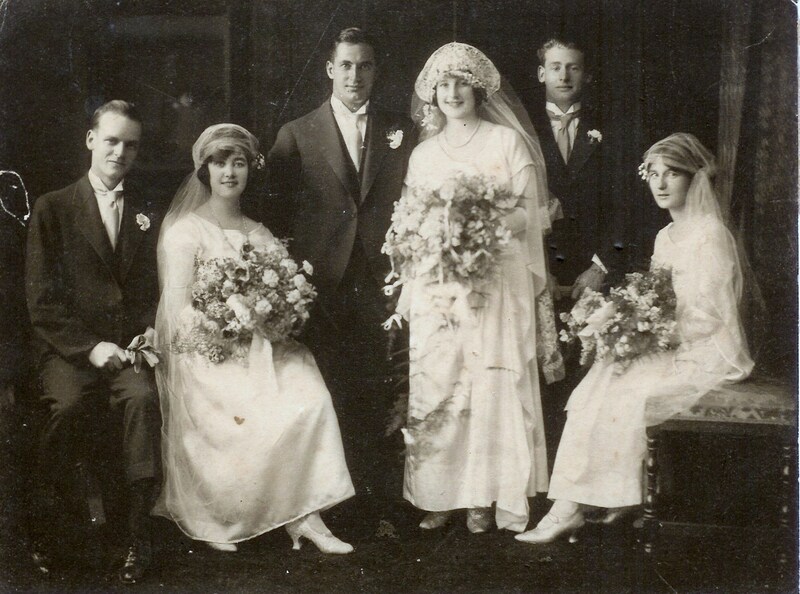 Julia Grego married Herbert (Minto) Smith of Great Hockham, Norfolk in 1920 at the Church of the Holy Rood in Watford town centre – after Minto’s return from First World War service in the Middle East. On the marriage certificate, Minto is described as a 25-year-old bachelor and engineer’s fitter of 31 Ashley Road, Watford; and Julia as a 20-year-old spinster of 193 St Albans Road, Watford. Her father was Filippo Grego, a greengrocer. Their witnesses were Edward F. Didd and Filippo Grego (who signed with a mark). 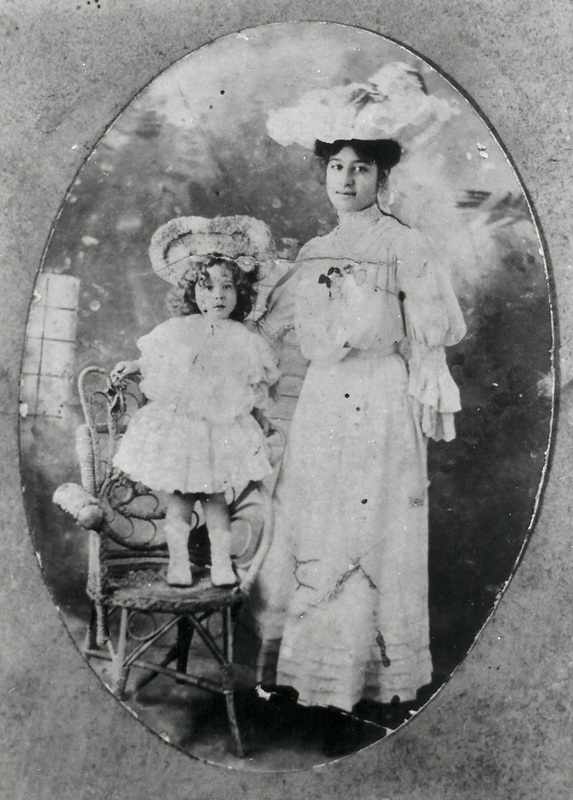 Both of Julia’s parents, Raffaela and Filippo Grego were illiterate. 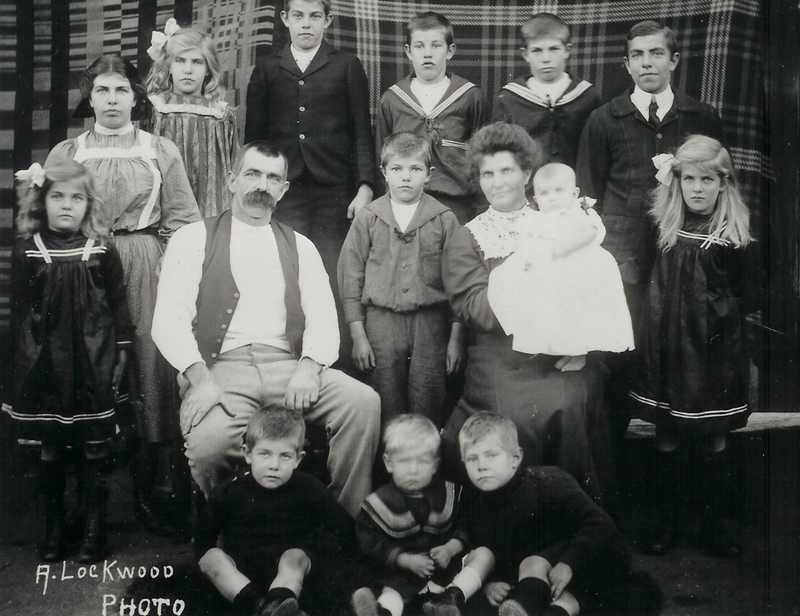 Minto’s father and grandfather were agricultural labourers. At the age of 19 Minto enlisted in the 4th battalion of the Norfolk Regiment in Norwich in September 1914. The battalion was training at Colchester, but in May 1915 it moved to Watford, which is when Minto met Julia. Unfortunately we have no stories about how they happened to meet. Minto’s battalion was deployed to the Mediterranean in July 1915 and landed at Suvla Bay, on the Gallipoli peninsula, on August 10 – some months after the initial ANZAC landings in April. The entire Gallipoli campaign against the Turks was a failure, with almost 400,000 casualties on both sides. All Allied forces were withdrawn by late December 1915. However, in early December Minto had contracted typhoid and was evacuated back to England. After a year’s convalescence he was deployed to Egypt in January 1917 and was wounded in the second battle of Gaza. He was later posted to garrison duties in Egypt and ended the war as an acting sergeant. 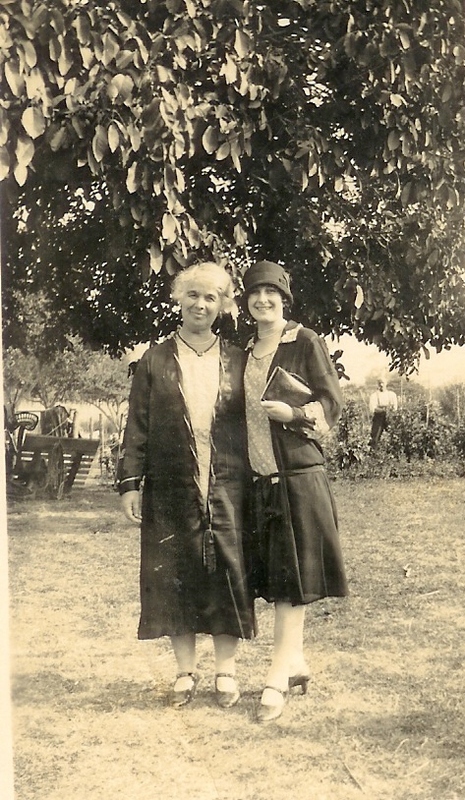 After being demobilised at Purfleet in Surrey in July 1919, he headed for Watford to meet up with Julia again. 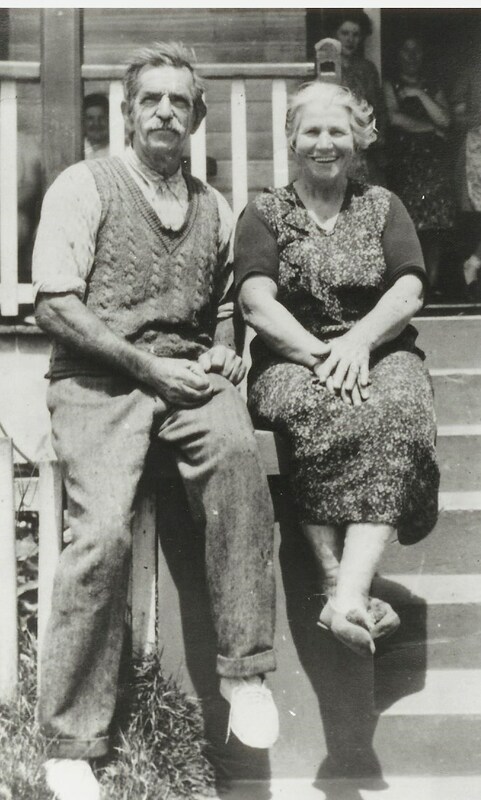 After their wedding, Minto and Julia lived in Watford for a time and he worked for Filippo Grego briefly in the fish and chip shop. They moved around a bit before settling in Ashford, Middlesex in about 1939. 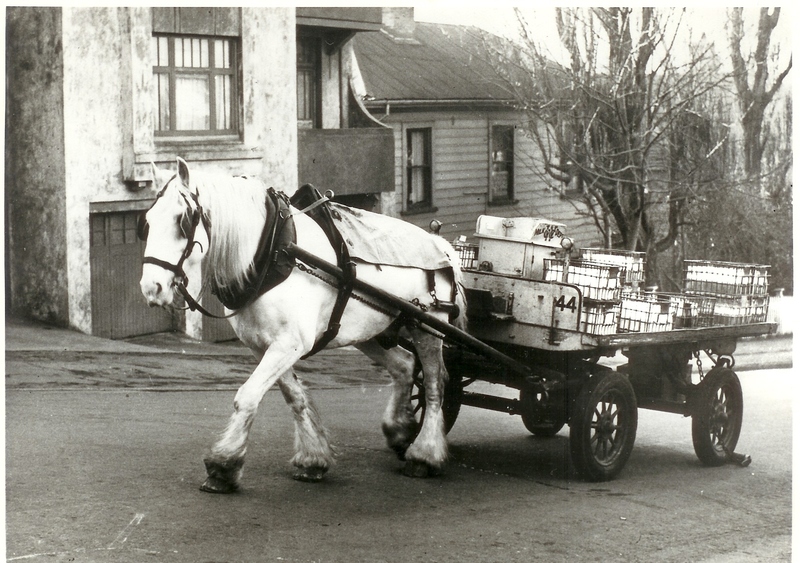 At various times he was a chauffeur, drove a hearse and worked in a diesel engine factory. 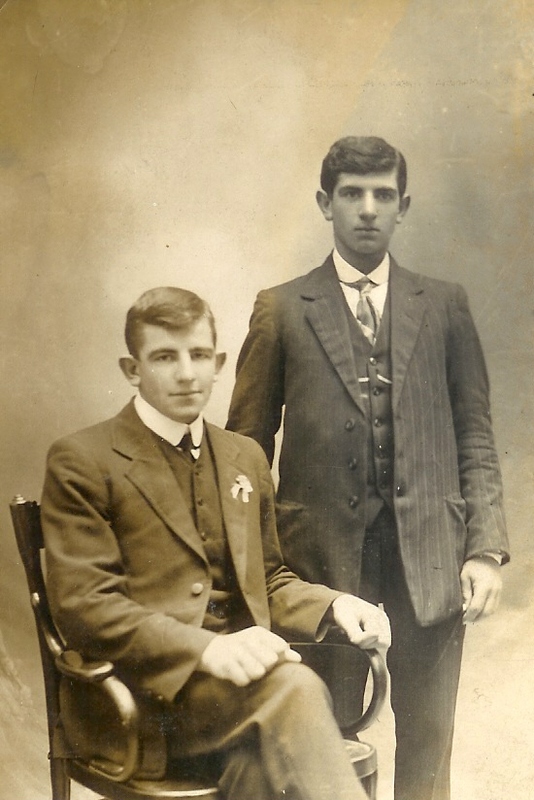 Julia and Minto eventually had two sons, Douglas and Roy. Douglas enlisted in the Cheshire Regiment in 1939 and was deployed to North Africa in 1942, serving in Egypt, Iraq, Libya and Italy. After the war he spent two years in New Zealand as an approved migrant under the assisted immigration scheme, but returned to England in 1954 and married Valerie Diamond (d. 2010) in 1956.They produced no children. Julia’s younger son, Roy, enlisted in the Royal Air Force and was posted to the Bahamas, where he married Barbara Malone, a Bahamian, on Harbour Island in December 1944. 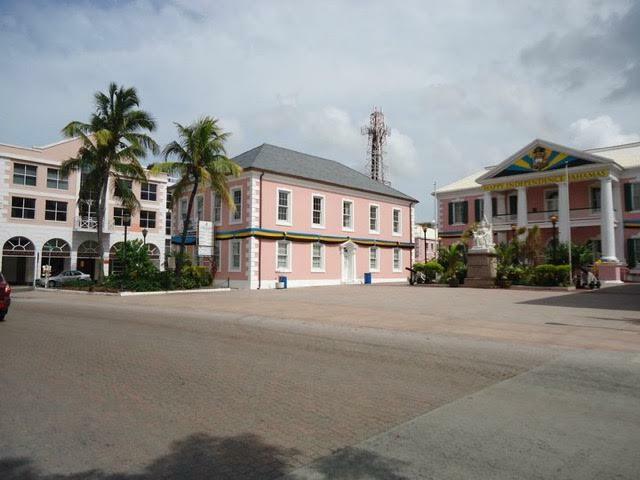 Barbara was the eldest daughter of district commissioner Ronald Malone (originally of Hope Town, Abaco) and Una Higgs (of Spanish Wells, Eleuthera). Roy and Barbara Smith went on to have two children – Larry and Luanne. The Bahamas had been a British Crown colony since 1718, and it was the chosen place of exile for the ex-King (the Duke of Windsor) who was appointed governor for the duration of the war. Nassau (the capital) was used by the RAF as a training base for bomber crews, flying twin-engine Mitchell B-25’s and four-engine Liberator B-24’s. Leading aircraftman Roy Smith was posted to the RAF’s No. 250 Air-Sea Rescue Unit. 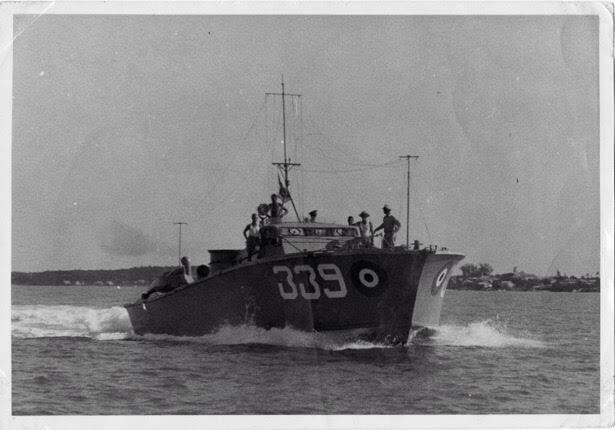 Equipped with motor torpedo boats, their function was to rescue the crews of aircraft which came down at sea (about four or five a year), to co-operate with naval forces in the area hunting German submarines, and to tow bombing targets. Some 3,000 British and Canadian personnel were stationed in The Bahamas during the war. There were no hostilities near the islands, so operational flying training could be undertaken safely, and there was good flying weather year-round. The location also enabled Canadian personnel to crew up with their RAF counterparts. After training at Nassau, many crews would join 45 Air Transport Group to ferry aircraft across the Atlantic for active service. Roy was transferred back to England in early 1945, and Barbara followed him a few weeks after VE day via train from Miami and convoy from New York. They returned to Nassau in 1948 where Roy helped start a wholesale business.The Bahamas had a population of about 70,000 back then. In 1955, after the wholesale business foundered, my parents, Roy and Barbara moved back to Britain with their two young children, running a succession of small shops around London. But during a family reunion in Nassau in December 1961, they decided to return to The Bahamas for good. Roy eventually became manager of a large car dealership called Nassau Motor Company, which holds the Honda and General Motors franchises for The Bahamas. He retired in 1985 to Spanish Wells, where he still lives today. Barbara died in December 2011 at the age of 84 from complications due to a ruptured appendix..
Barbara’s paternal line descends from the widow of a loyalist militiaman from South Carolina, who moved to the Bahamas after the American Revolution. Her maternal line traces back to the Eleutherian Adventurers, Puritans who settled The Bahamas in 1648 from Bermuda. 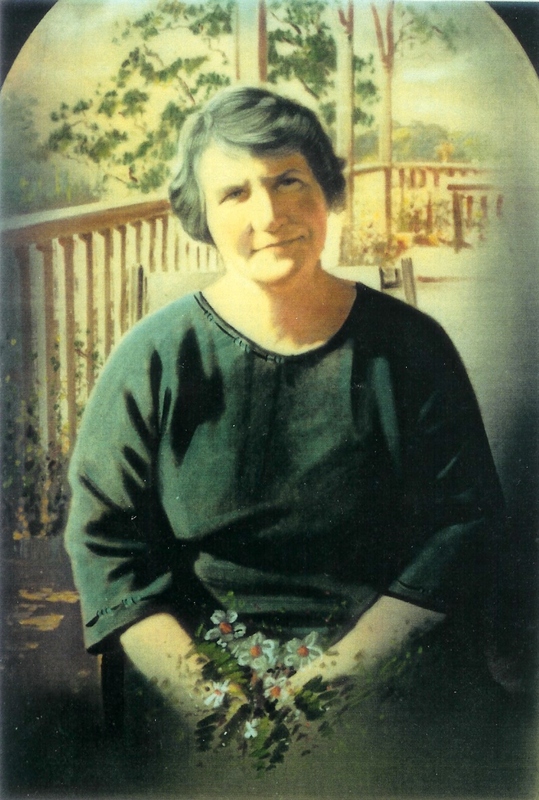 Julia was born 25 February 1900 in Watford and died 18 June 2000 at a nursing home in Ashford. Douglas Percival was born in 1921 and died in January 2012 at a nursing home in Egham. Minto was born in 1895 and died at his home in Ashford in 1981. Julia’s sister Barbara Grego Johnson and brother Joseph Grego double wedding. Rear L to R: Filippo Grego, bride Floss’s brother, Jessie Grego with baby, bridegroom Joseph Grego, ?, bridegroom Laurie Johnson, Julia Grego, ?, Laurie Johnson’s father. 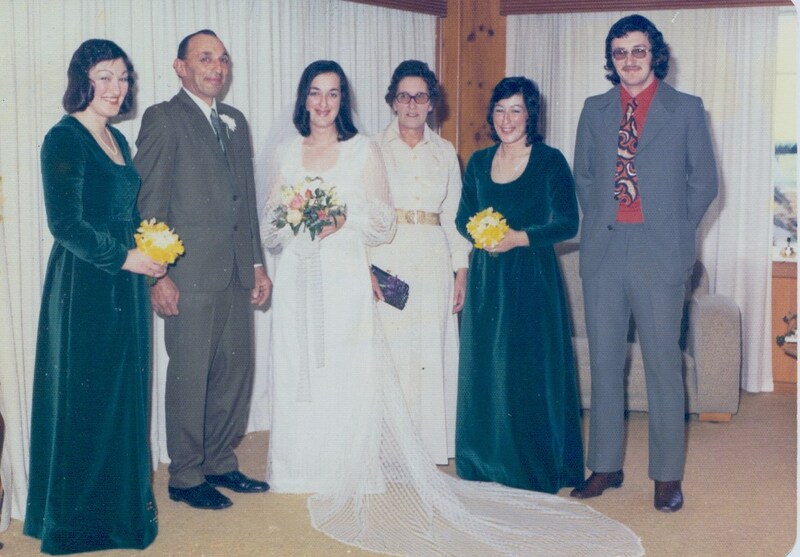 Front L to R: Philomena (Emmie) Grego, Raffaela Grego, bride Floss, bride Barbara Grego, Laurie Johnson’s mother, Lillie Grego. 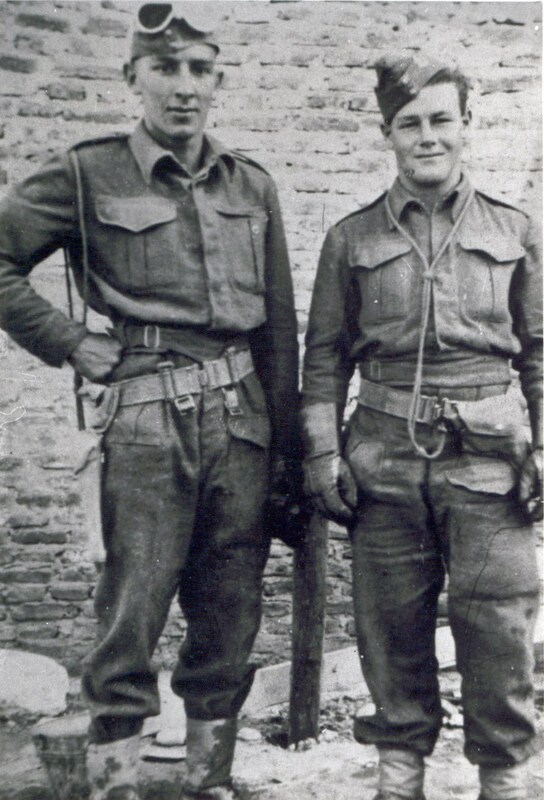 REGINALD ALFRED FRANDI 1919 – 1975; They Built Them Tough In Those Days. REGINALD ALFRED FRANDI 1919 – 1975: They Built Them Tough In Those Days. Before he fought in the Second World War, my maternal uncle Reginald (Reg) Frandi trained as a fitter and turner at Cable Price. 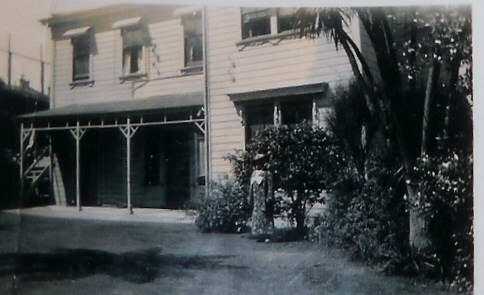 However, he returned from the war with very serious injuries and had to stay in Wellington hospital for quite some time, after which he was transferred to Rotorua for a long period of rehabilitation. He was advised to work out in the open air as he had spent three to four years in the desert during the war which left him with long term adverse effects on his lungs and stomach. 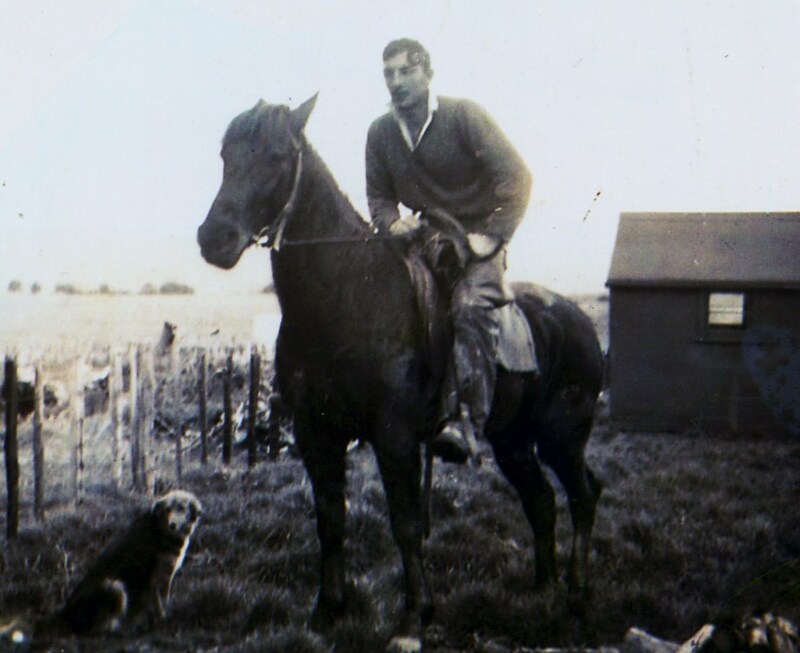 When he had regained his health and strength, Reg decided he wanted to become a farm cadet and was subsequently placed on a farm which was situated about 30 miles from Gisborne. It was on this farm that he eventually met his future wife, Dawn Marguarite Kelly. 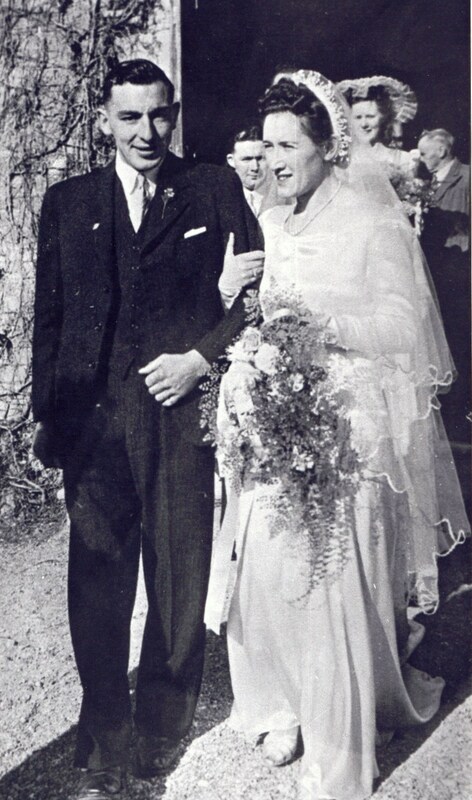 They were married on 20 June 1945 after dating for only three months. Subsequently they found work at Tawhareparae, about one and a half hour’s drive from Gisborne. After working there for a short time, they moved to Whatatutu, roughly two hours drive from Gisborne. At that time, the roads were all unsealed so they had to have a safe, reliable car. 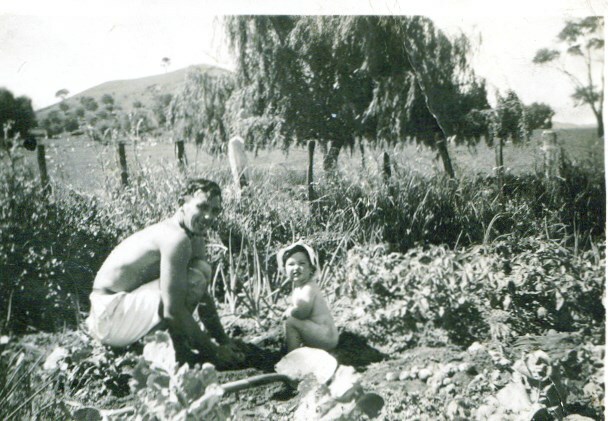 Reg really enjoyed farming and eventually he was sent to Wanganui River to work for the Maori Affairs Department. This was a great challenge for him because he had to clear and break in the allocated land, to make it suitable for sustainable farming. There was no reticulated hot water, so it had to be heated on a wood stove. He was a good rugby player and was adopted by local Maori as one of their own. In fact his whole family was very highly respected in the area. After about ten years, Reg and Dawn decided to move with their children back to Gisborne to live where Reg had a complete change of employment. Friends of the couple had opened up a quarry in Patutahi and Reg agreed to work for them. He was a very clever and able man who could turn his hand to anything and according to his daughter, Michelle, he was busy almost daily fixing and repairing this or that. During his years working at the quarry he was to prove to his family time and again just how strong he was in dealing with severe pain. He suffered many injuries such as being crushed by rocks, breaking his jaw and eye socket and even losing some teeth! When he lost fingers in a crusher, he went home to Dawn and asked her to bandage his hand. On another occasion when he suffered severe injuries, he was admitted to hospital for four days and hated every minute of it. Michelle relates the story about the time her father complained that he couldn’t get his boot off. They took him to the doctor and it transpired that his foot was broken and had to be encased in plaster; he had been walking around on it for three weeks! Reg then insisted on being fitted for a walking boot so he could get back to work! It’s reminiscent to me of Colin ‘Pinetree’ Meads who played a rugby test match for the All Blacks with a broken arm! They certainly built them tough in those days on the North Island of New Zealand. Reg and Dawn built a house down the road from the quarry where Reg established a huge vegetable garden with “every vegetable you can imagine” thriving there. Michelle recalls that they all had to help in the planting of potatoes and then when they were ready, help to dig and pick them up. She says that as children they weren’t too happy about it, but upon reflection, they were good times for the family. During summer months he would ask Dawn to pack a picnic dinner to take to the beach so that the family could all go surf casting; all had their own lines. They would stay until it got too dark to see. 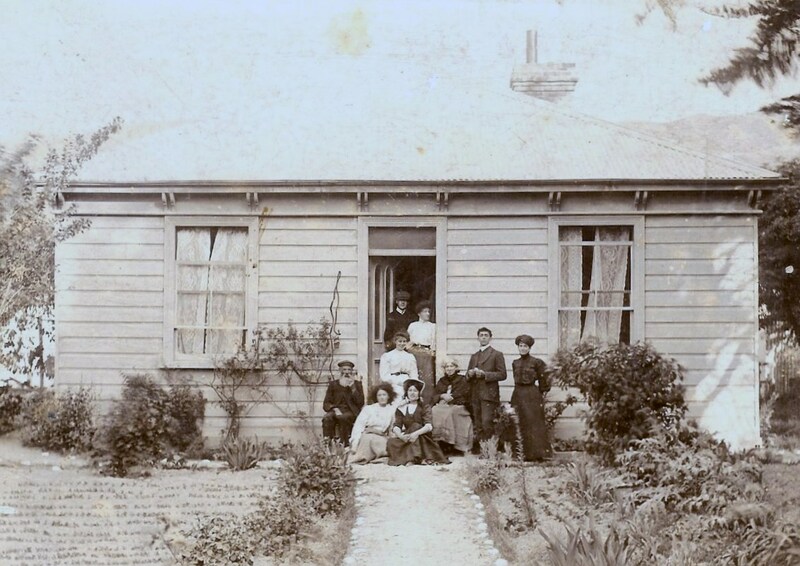 Relatives had a holiday house at Ohope Beach, something like three hour’s drive north of Gisborne, where they often holidayed, sometimes for up to four weeks. Reg absolutely loved it there, and spent the time pottering about, fishing and reading. Reg and Dawn had a very happy and fulfilled marriage, which was sadly cut short when Reg was killed in a quarry accident. 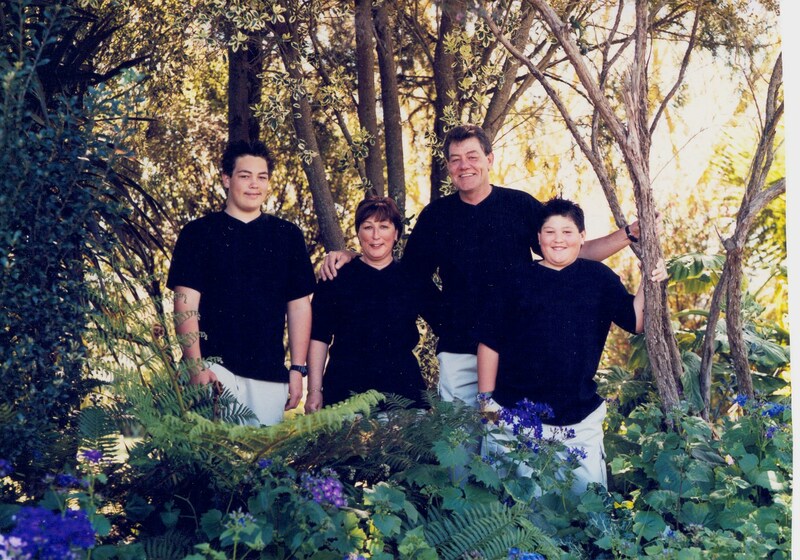 He was a wonderful father, always had time for his family, and showed a deep sense of pride in all of us. This seemed strange to me as he had very little contact with his extended family, but I guess he had his reasons. Dad didn’t like lies and he didn’t expect anyone else to lie. He didn’t suffer fools; if he didn’t like someone or something, he would tell you. My father didn’t drink much alcohol, and if he went out with mates, he always came home sober. He had a sweet tooth, loved chocolate, and when mum stewed fruit for dessert, he always added a lot more sugar. Reg helped to build St George’s Anglican church in Patutahi, but tragically he died before he could see it completed. His love of working at the Patutahi Quarry cost him his life. He was crushed to death when a tractor rolled on him. Dad had the biggest hands; hands of a man who had had to work hard for everything in his life. Though a gentle man in many ways, he did lose his temper occasionally, but he got over it quickly, almost as soon as he had lost it. He taught us children so many great values in life, which in turn has helped us immensely to deal with whatever life might bring. We never wanted for anything when we were growing up. We weren’t spoilt, and learned from dad that nothing in life is free. Michelle goes on to tell me that it would have broken Reg’s heart if he’d lived to witness the deaths, so early in their lives, of two of his daughters, Marguarite at 51 years and Katrina at 45years. Both Marguarite and Katrina died from cancer. Dawn lived on for another 30 years after Reg died, and never re-married. They had one son, Kelly. 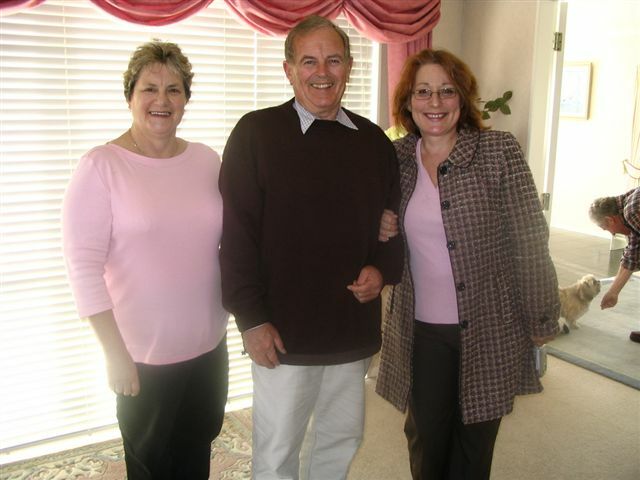 Information contained in this Short Life Story was contributed by Reg Frandi’s youngest daughter Michelle Elizabeth Downie, in a letter she wrote to her cousin Anne Frandi-Coory in July 2005. Images: Parkhill Collection. Home of Compassion, Island Bay Wellington, New Zealand. 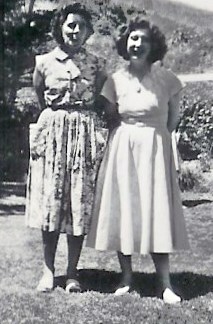 Your mother was 19 years old when she entered the Convent at Island Bay on the 7th December 1939 as a postulant. This is a kind of probationary period to find out whether or not a person is suited to the religious life. 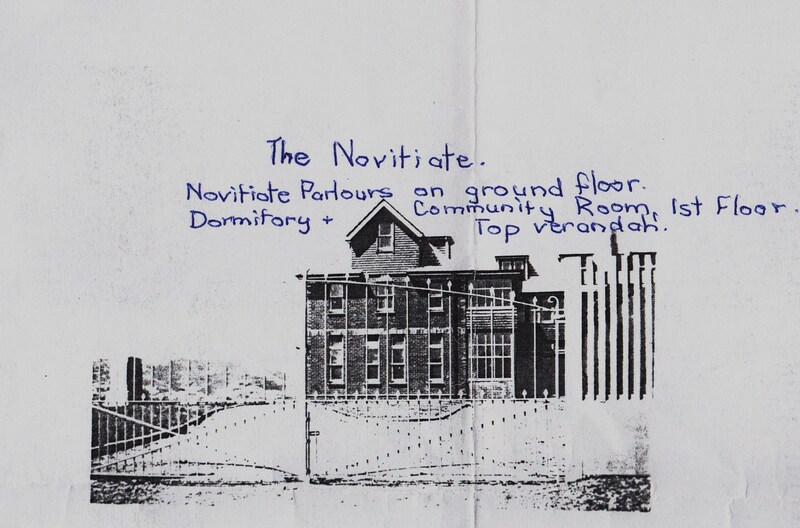 There was a separate wing set out as the Novitiate in the red brick building which had been built in the early 1930s, and was where all the novices were trained. A note made four months later, in April 1940, reveals that the Novice Mistress found Doreen to be a very highly strung person, but her manner was always pleasant. By July, Doreen always seemed to be worried about her family at home, especially her mother. 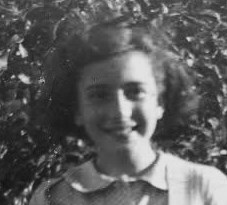 However, she wanted to become a novice and looked forward to her reception into the Novitiate, the next stage of training to be a Sister of Compassion. In July Doreen had to write to the Superior General asking to be admitted into the Novitiate, and giving her reasons for wanting to do so; that is the usual procedure. Apparently she was formally accepted, for on 15th September 1940 she was received as a novice, together with four other young women. She was given the name Sister Mary Martina. 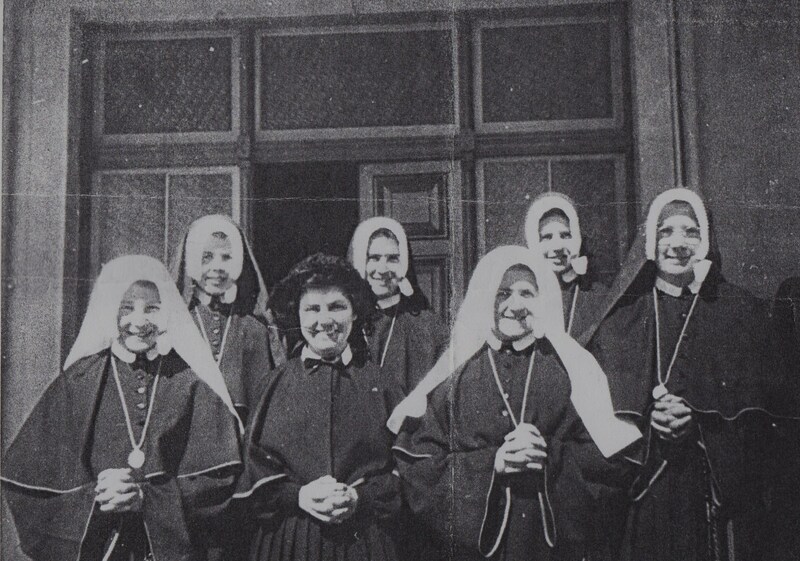 We all had to go through the same kind of training that Doreen would have had during her postulancy and Novitiate days, and although looking back, things were hard, we were never unhappy or abused in any way. Most of the time we were kept very busy indeed, either working in the laundry or caring for the babies and children, which didn’t give us much free time for idleness, I can tell you from experience. 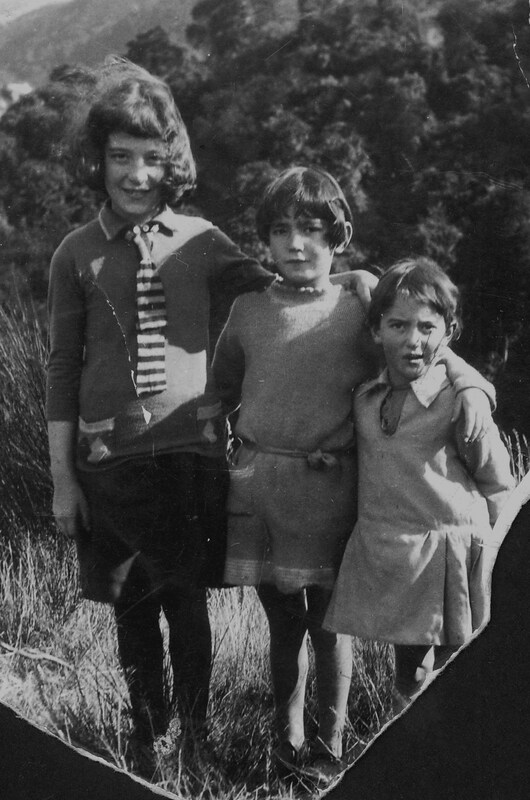 At the age of twenty Doreen requested to go home and subsequently left the Convent on 16th November 1940. There are no further comments in the Register. Any medical records were returned to Doreen when she left and there is no record of her being sick or having a nervous breakdown during her eleven months at the Convent. I believe that Doreen often came to visit the Sisters after she had left the Sisters of Compassion. She rode out to the Convent on her bicycle which she had named ‘Martina’. 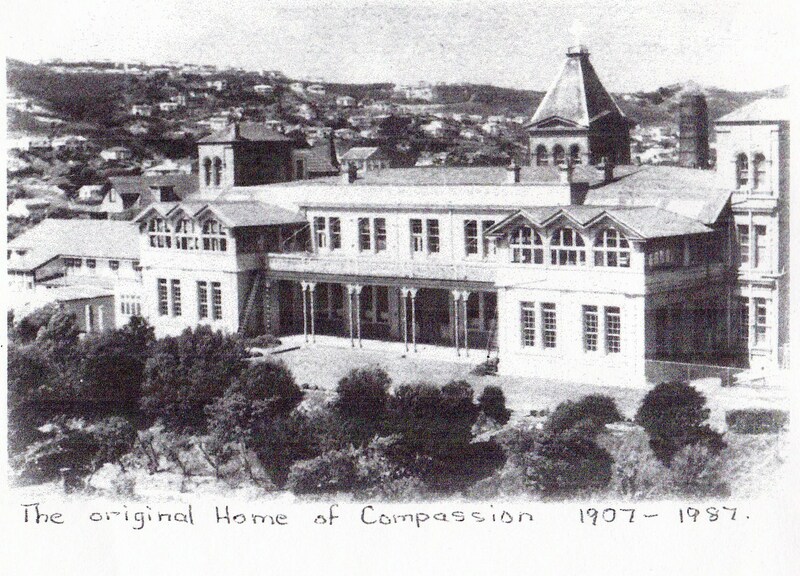 The old Home of Compassion and Convent were demolished in the 1980s.